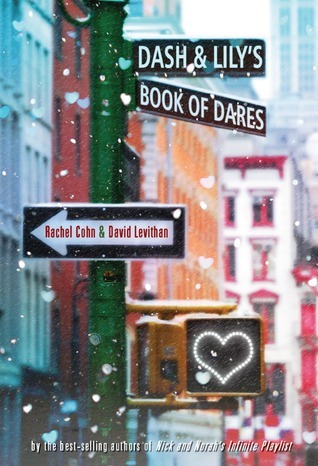 Author: Rachel Cohn and David Levithan. ‘Fans of Stephen Chbosky and John Green will fall in love with Dash and Lily’. So, immediately I knew that this was going to be the sort of genre that I enjoy reading, and, more importantly, it had big boots to fill. The novel follows the adventure of happy-go-lucky Lily, who, despite not being one for spontaneous acts of mischief and adventure, she decides to leave a red notebook full of dares in a bustling New York bookshop, in the hope of having a Christmas romance with the lucky recipient. However, when hipster teen Dash comes along, he becomes the target for this seasonal romance. And in a series of challenges that take them all over the city over the festive period, they find themselves being drawn together, and falling for each other over paper. But, as in all good, tragic fairytale romances that include teenagers, can the real versions of themselves live up to their paper twins when they finally meet up? Or, is this one dare that has gone too far? Now, this novel is a fluffy novel. That cannot be denied. It is a properly romantic-Love-Actually-sort of novel. And that can put people off it. This novel would be perfect for an easy read over Christmas break. And due to this, I particularly loved the first half of the novel, The inevitable love through letters were done well, and you could see how the letters change and develop as Dash and Lily start developing feelings from each other, and this provides enjoyable, light reading. However, towards the end the novel started to feel rushed, and clichéd in a way. Unlike Chbosky and Green, the novel didn’t enthrall me from start to finish, and I didn’t become emotionally invested in the characters in the way that the novel set them up to be. The potential for a light-hearted, sort of Cecilia Ahern book was there, but it fell into the realm of trying too hard to be like them, and therefore failed in itself. The characters of Dash and Lily were a mixed bunch. Dash was easily my favourite, as he was the most involved and complex character in the book, yet he did have an almost nauseating level of hipster-ness and snark that I did find off-putting. However, the depths of some of his arguments were well-founded, and therefore he was better to read. But Lily was too much of a do-gooder. She had all the characteristics of a complete chick-flick protagonist, but had no depth or personality to her. And that is easily one of the things that readers love exploring. They want their characters to be realistic, and not just words on the page. And unfortunately, they didn’t entirely turn out this way. Now, I know that Cohn and Levithan have both co-written books before – including the acclaimed Nick and Norah’s Infinite Playlist- and Levithan is well known for his partnership with John Green in ‘Will Grayson, Will Grayson’, yet I felt that this novel was trying to build too much up, and trying too hard to be like these other books. However, this could be just the fact that I’m a twenty-one year old woman, and this is definitely aimed towards a younger audience. Nevertheless, it is a sweet and adorable book for the Christmas season, and well worth a read if you want an uncomplicated, lighthearted read that may not stick with you afterwards, but may make you think of it fondly. However, to me, this novel doesn’t hold the same rank of Chbosky and Green, so under that pretension that it should, I was sorely disappointed. Will Grayson, Will Grayson by John Green and David Levithan. Then you’ll enjoy this read!